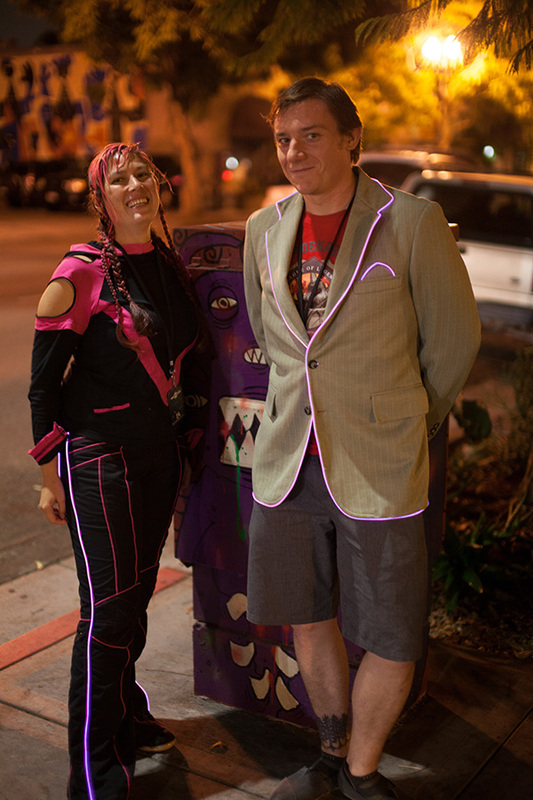 Lately n3wscott had been talking about wanting to make an el-wire jacket, and wiring pink into his grey and pink pinstripe jacket. I told him to bring stuff down to Toorcon, and I’d think of something to work on as well. 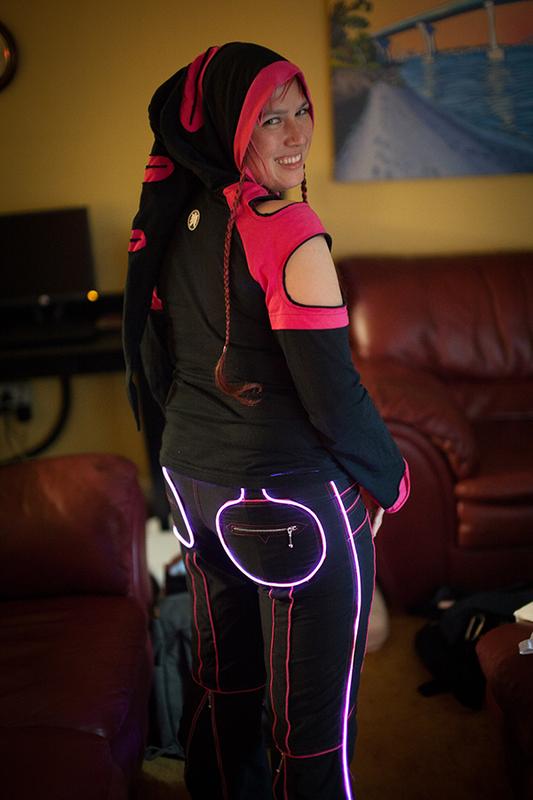 When I walked into the con wearing a pink and black cyberpunk outfit, Tim told me that I wasn’t glowing enough and handed me some pink EZ-El wire and a battery pack. 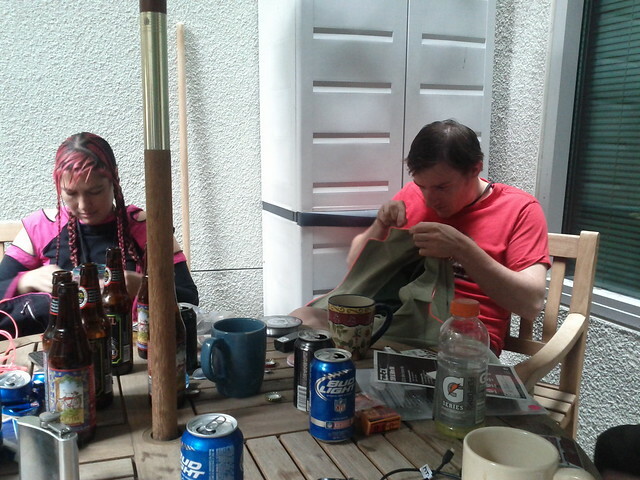 I went back to our condo and we spent a few hours sewing wire to our clothes with very thin fishing line. I followed a seam in my pants and looped it around my back pockets, with the battery pack clipped into my shoe. The excess I cut with some scissors. 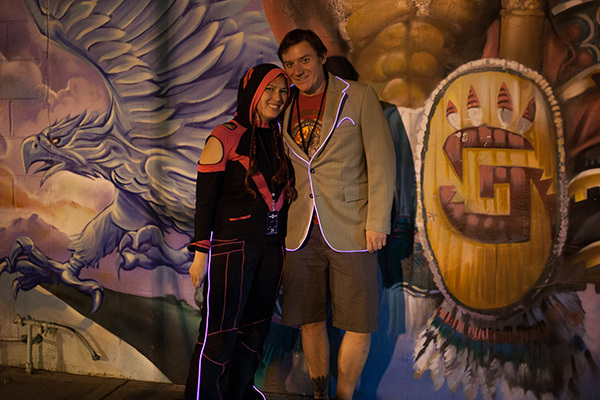 This worked out very well, and was easy to wear. The battery took two AA batteries and had three modes: blink, seizure mode, and solid light. It held up to me dancing and running around all night.